Are one or more missing teeth making your life a little less pleasant every single day? Do they force you to avoid your favorite foods or rethink your word choice all the time? Want those problems to go away forever? If so, Dr. Sopel would love to talk to you about dental implants. They are truly in a class of their own when it comes to tooth replacement, and if you’re ready to finally close those annoying gaps for good, they offer the most complete way to do it. 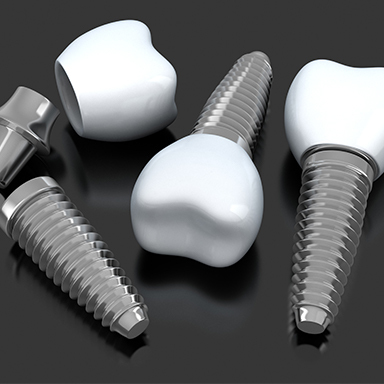 To learn more about implants and see what they could do for you, contact us today. Why Choose Horseshoe Bay Dental for Dental Implants? 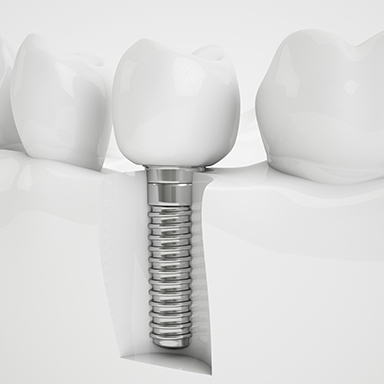 Comprehensive Solution: The reason dental implants are so special is because they replace both the root and crown of a tooth, something no other treatment does. A small titanium post is placed within the jawbone, and this is used to support the new teeth, giving them a strength and stability a patient can always trust. Aesthetics: Implants have the same two-part construction as natural teeth and are topped with custom-made porcelain restorations. The end result? Only you and Dr. Sopel will know which teeth aren’t real! Stops Bone Loss: The jawbone naturally starts to atrophy after tooth loss, and dental implants are the only treatment that can stop and even reverse this process. The new tooth roots actually stimulate the bone and encourage renewed blood flow to the area. Built to Last: Thanks to the high-quality materials we use with our implants, a patient’s restorations can easily last for 30 years or more. For a single gap, the traditional solution would be to file down the teeth on either side in order to place a bridge, sacrificing healthy enamel. Instead, a lone implant root and crown can be put into the smile without disturbing the remaining teeth at all. Numerous implant crowns can be placed throughout the mouth, and Dr. Sopel can even use multiple implants to secure a partial denture. For patients with consecutive missing teeth, just two implants can support up to three prosthetic teeth in a row, providing a more conservative and cost-effective solution. If a patient is missing most or all of their teeth, implants are still a viable option. 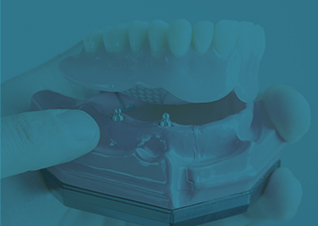 Instead of replacing each tooth individually, we only need four to six implants to anchor a full denture to the jawbone, and patients won’t ever have to worry about annoying slippage. Patients who have been missing teeth for a long time often have thin, weak jawbones that are unable to support traditional implants. While most dentists would recommend patients try another treatment in this situation, Dr. Sopel is able to offer mini implants. The prosthetic roots are shorter and thinner, and they can remain stable in less bone while still providing a strong base for a new denture. With them, now even more people can benefit from the most complete tooth replacement available today. 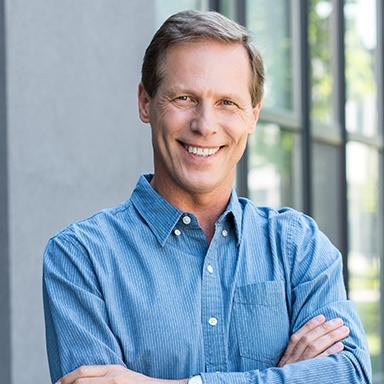 Dr. Sopel is the kind of dentist who never stops learning, and over the years, he has gained the expertise and knowledge to complete the entire implant procedure himself, including the surgical placement of the implant roots. Thanks to this one-stop approach, our patients are able to save both time and money compared to other practices that send their implant patients running between multiple doctors. Here, you’ll work with the same team from your first consultation all the way to when you walk out with a rebuilt smile. 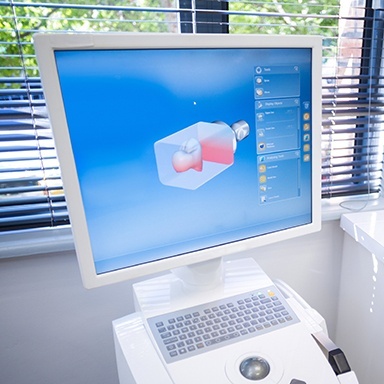 CEREC technology enables Dr. Sopel to put together extremely precise and personalized treatment plans for every implant patient. With it, he can find the perfect locations within the jawbone to place each root and ensure it has maximum hold. This high-tech approach also enables him to be more efficient and less invasive when performing the placement procedure, so a patient will feel more comfortable both in the chair and while they recover. 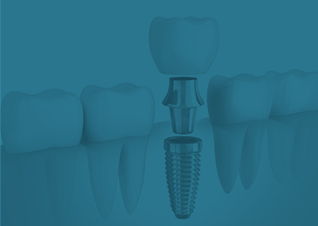 Every dental implant treatment we provide is completely customized based on the unique needs of a patient. As a result, the cost of the treatment can vary quite a bit from person to person. 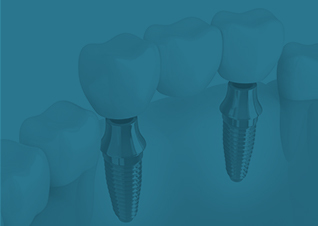 The number of implants, the type of restoration used, and many other factors can influence the final price. Before we begin treatment, our team will go over all pricing information with you so you’ll know exactly what you’ll be expected to pay. Dental implants can certainly be a large investment in your oral health, but we believe they are a smart one. In addition to offering superior aesthetics and function compared to all other treatments, they also last much, much longer as well. While most traditional dentures and bridges tend to break down after less than a decade, implants can often last for 30+ years, meaning a patient will save thousands in retreatments in the process.